National Pizza Day is Saturday, February 9th but who says you can’t celebrate early? There are dozens and dozens of pizza places in Kansas City and my original goal of trying them all for the sake of an article was swayed by the fact that my stomach cannot hold all of the pizza in Kansas City. I know, I’m lame, but I’m still delivering (ha) with a sampling of my favorite pizza places in town. Take your pick from the list below or go off-list for a multi-course pizza party. Any way you slice it, you’re sure to have a good National Pizza Day. Il Lazzarone | 412 Delaware St.
Il Lazzarone prides themselves on the quality of their Neopolitan-style pizza, and with crust like that, I can’t blame them. Their wood-fired pizza selections feature fresh toppings on an uncomplicated dough. 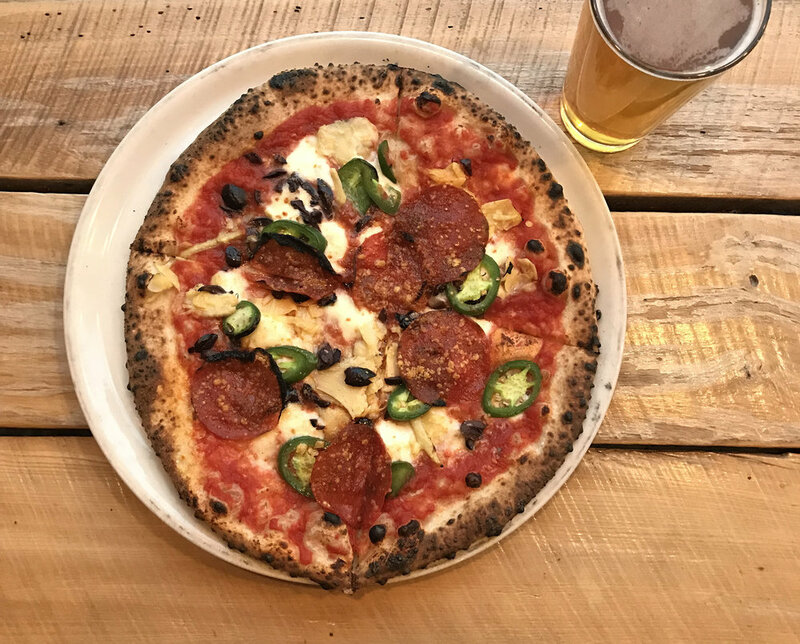 We ordered the Siciliano, which is topped with earthy vegetables and pepperoni, and pairs perfectly with a beer. 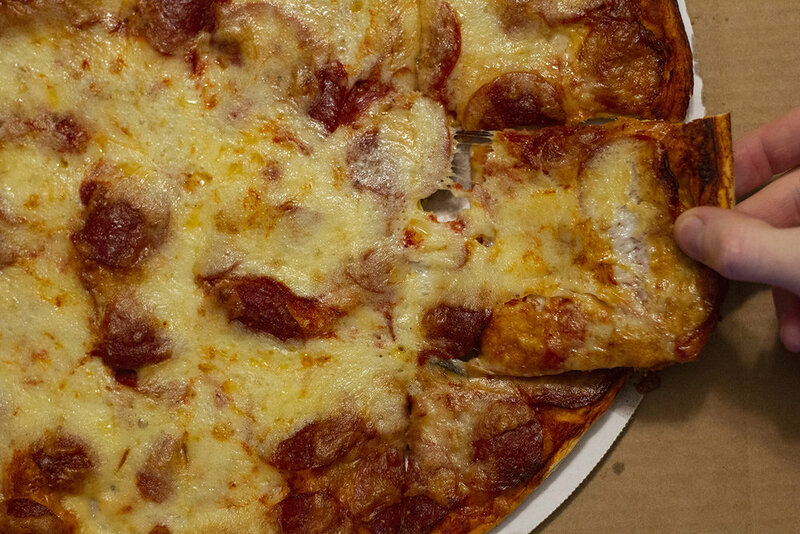 Anyone who is familiar with Providence Pizzeria will freak when you mention the Detroit Red Top Pizza. Detroit-style pizza is 80% bread and 100% what you need in your life because 1. bread and 2. crispy cheese crust. They also serve New York style slices and “Classic Italian” pizzas if you want an appetizer for that Red Top. Waldo Pizza | 7433 Broadway St.
Waldo Pizza is the closest to what you can expect from a classic neighborhood spot, with no-frills and plenty of delicious choices. Toppings range from buffalo sauce to spam to pickles to (my favorite) herb-roasted potatoes. They also offer vegan and gluten-free pizza so it’s a crowd-pleaser kind of place. We ordered the Margherita pizza on honey wheat crust and it was gone within a day, if you need any more of an endorsement. Grinders | 417 E 18th St. While just a stone’s throw from Providence Pizza, Grinders has a very different vibe. With comfy booths and indescribable decor, it might remind you of the pizza place you loved in college. I’m a huge fan of their list of Gormander Slices, especially the Bengal Tiger that includes tandoori chicken and house-made pesto sauce. This time around I had two slices of the Le Hog and god, I wish I’d had a third. Leo’s | 408 NW Englewood Dr. The sleeper hit of the list is Leo’s in the Northland. Although their tagline is “Really Italian!”, they specialize in St. Louis-style pizza and salads topped with Provel cheese. Not familiar with Provel? It’s a mix of provolone, cheddar, and swiss cheese, making it a tangy blend with a low melting point so you can expect very nice cheese pulls. Besides the cracker-thin crust, Provel is what really defines a St. Louis pizza. We ordered the Pepperoni pizza and had no regrets.